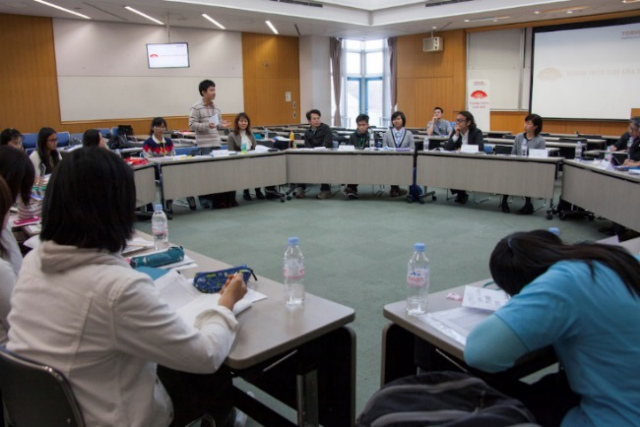 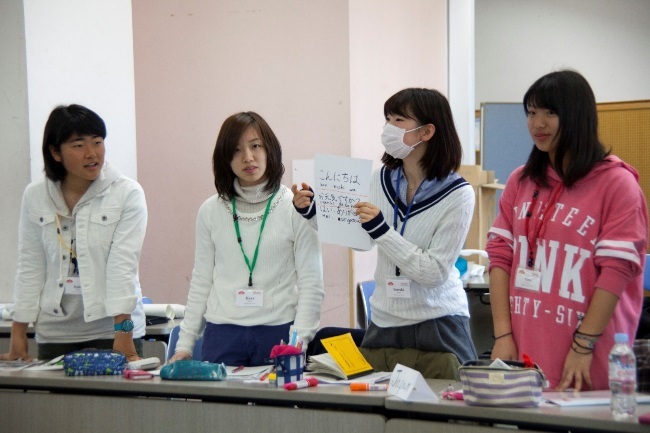 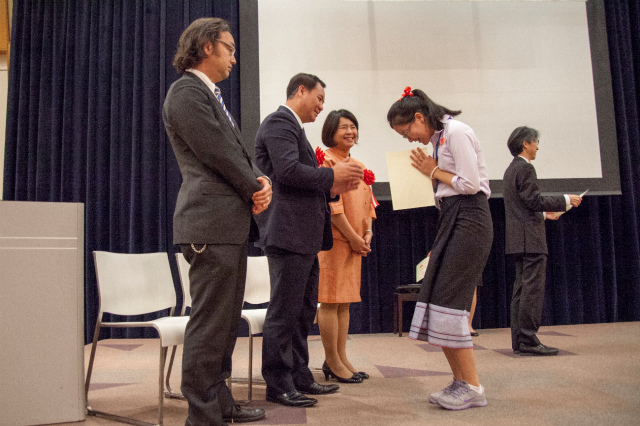 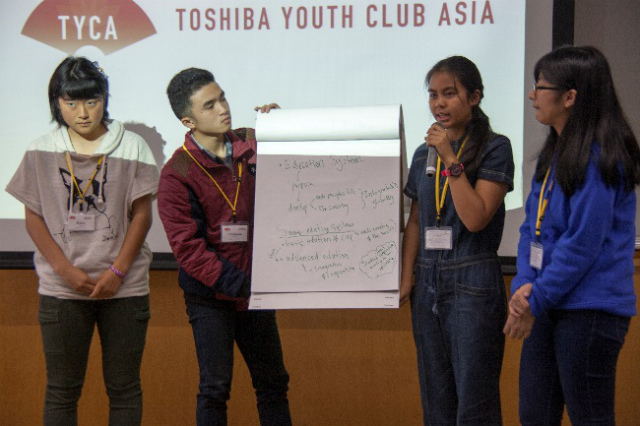 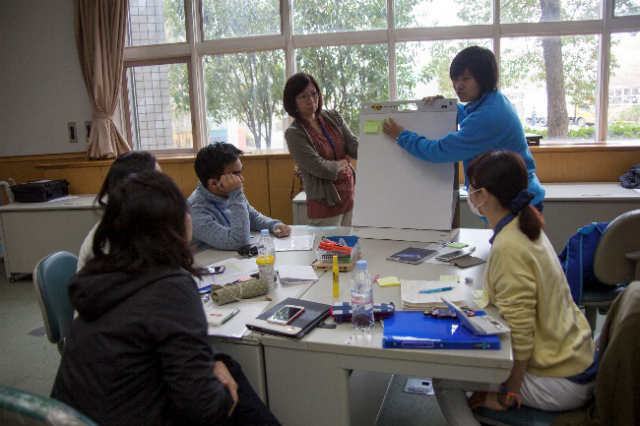 From 23rd – 30th March 2015, the Toshiba Youth Club Asia was held in Tokyo, Japan.Students from ASEAN countries, such as Cambodia, Laos, Myanmar, Philippines, Vietnam, Thailand and Japan were arrived safely and participated to this 8-day programme. Welcome to Japan! 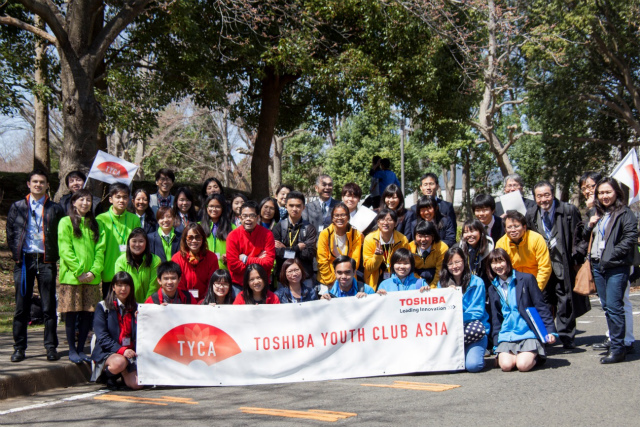 Great to see that all the participants landed in Japan safely under the nice weather! 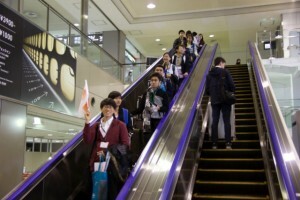 Japanese participants welcomed all the others at the entrance of the Yoyogi Olympic Center. 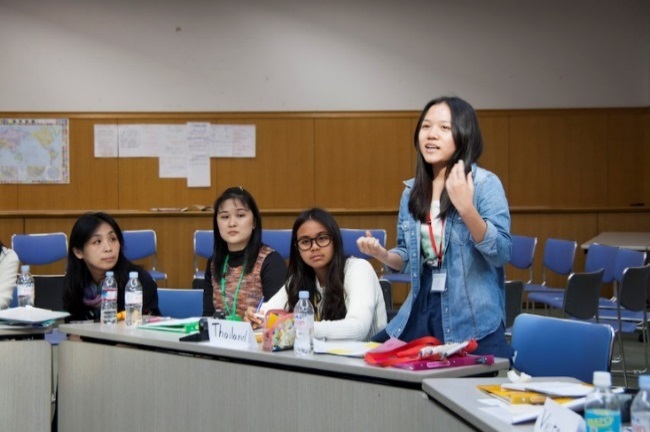 On DAY-2, starting from “Culture Exchange Activity”, the participants from each country introduced how to greet in their languages. Can you remember all the names of participants? 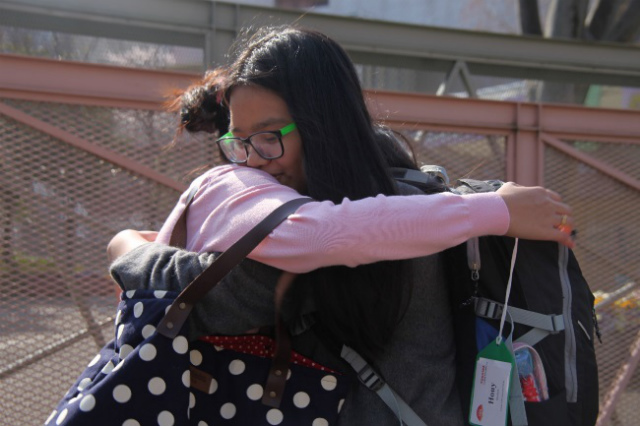 How do you greet in your language? Lectures “Problems that we face in Asia” by Ms. Hirata (first picture) and “History of the Technologies” by Prof. Ishibashi. 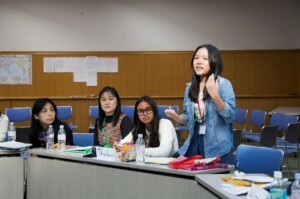 The participants also presented their essay about “The Future of Asia”. 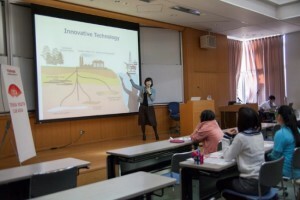 Ms. Hirata and Prof. Ishibashi gave comments or opinions for each of them. 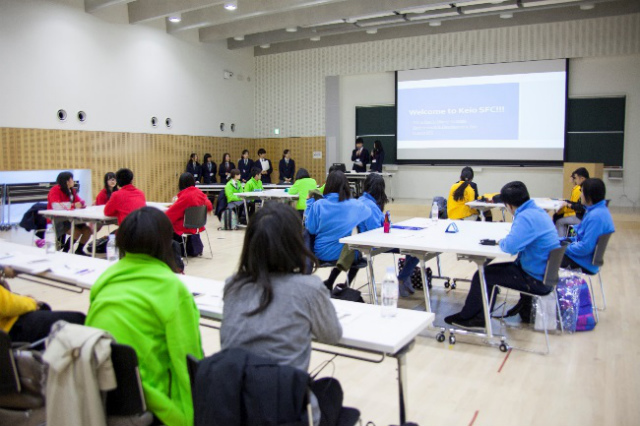 The main theme for DAY-3 was “Environment&Development Day” where the participants visited Keio SFC(慶応義塾湘南藤沢高等部), one of the participating schools. 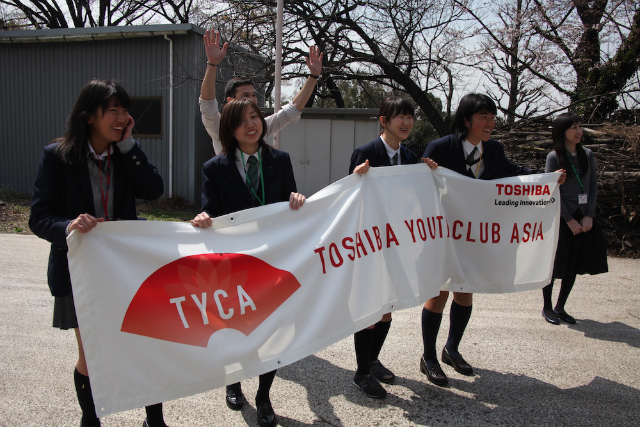 The students from the SFC organized the program of the day. 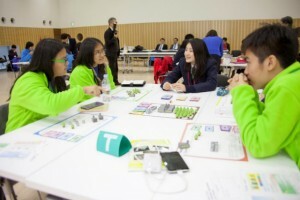 The main program of the day was “Logy&Nomy” which is a board game that one of the students from Keio invented. At Keio SFC. 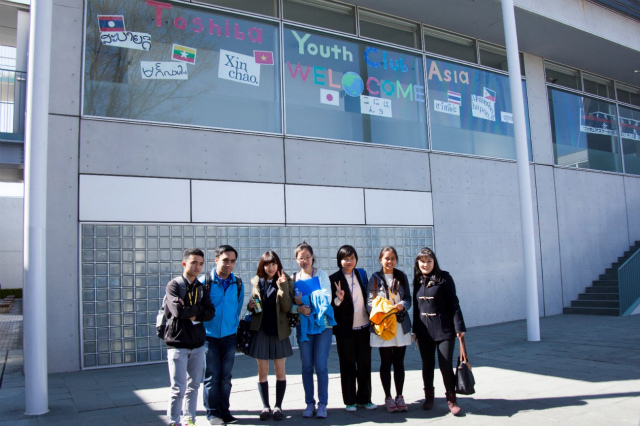 Warm welcome messages on the wall in each languages. 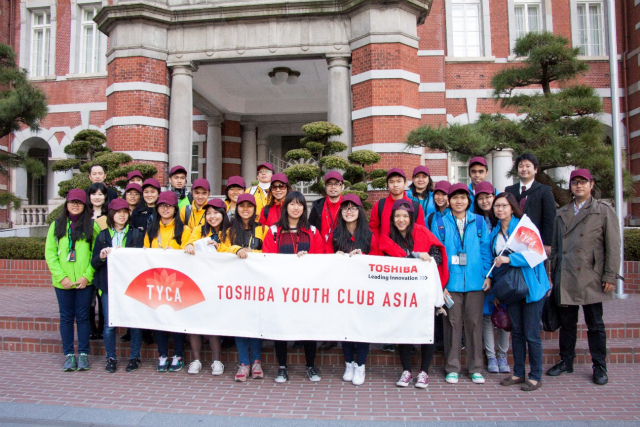 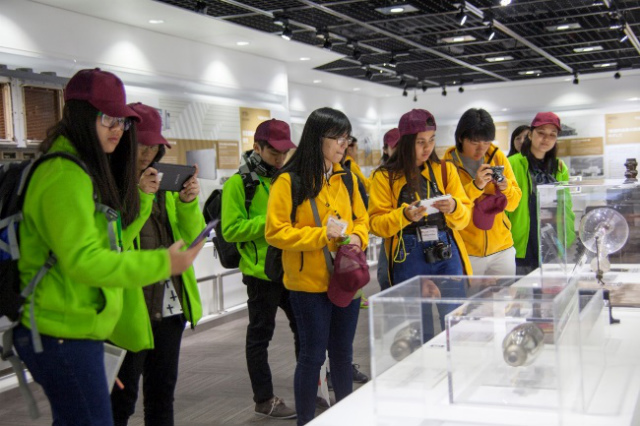 On DAY-4, the first place that the participants visited was the Toshiba Science Museum, where they learnt about the history and innovation of Toshiba. After that, they went to the Ramen Museum in Yokohama for lunch, where they could feel and see the history and innovation of Ramen! 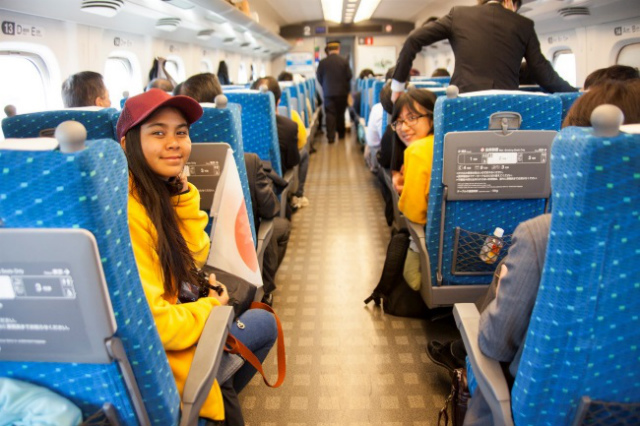 Also they experienced fast, safe and comfortable bullet train – Shinkansen. 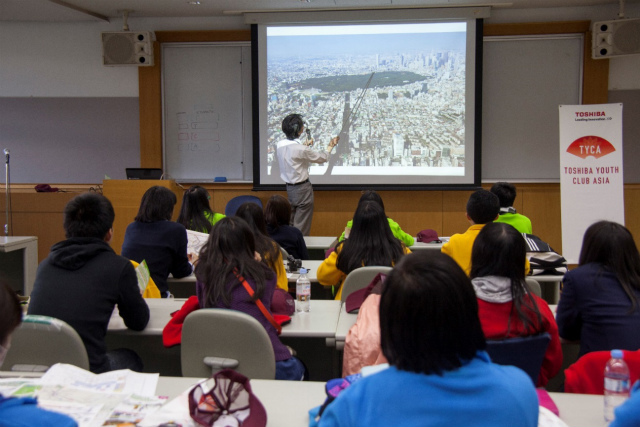 The DAY-5 started with lecture about Meiji-Jingu (Shrine) and variability of urbanisation by Mr. Shirai. 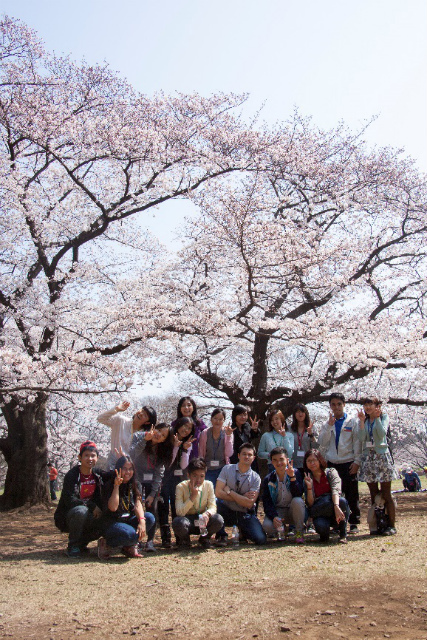 They took a bus and headed to Omotesando and Harajuku to see what Mr. Shirai had explained in the morning. 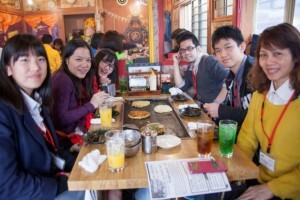 They also had lunch at an Okononomiyaki restaurant and shared experience making their lunch together. 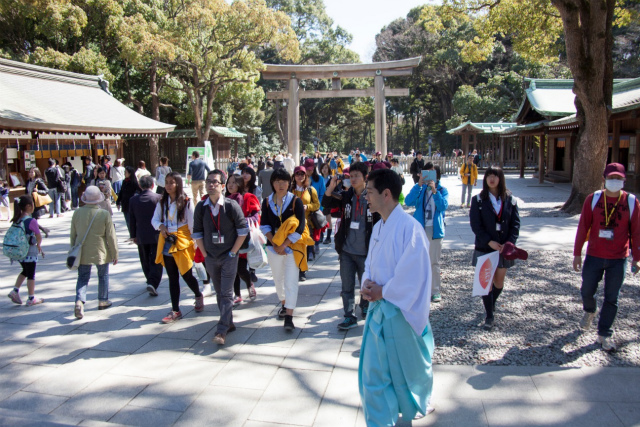 After the lunch, they finally walked to the shrine and it was definitely a highlight of the day! 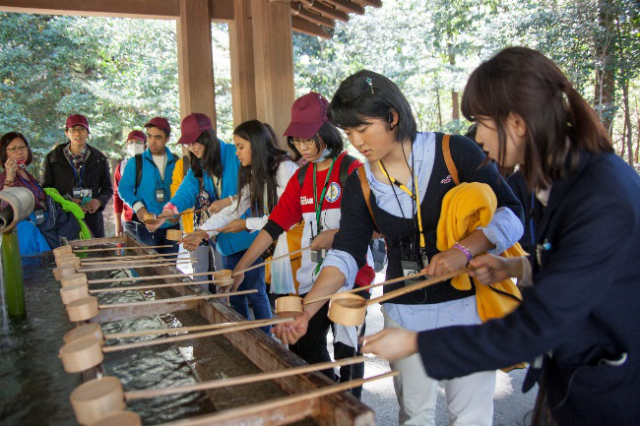 Mr. Ito’s guiding in Meiji-Jingu, explains about a brief history about Shintonism and how the Meiji-Jingu was built. 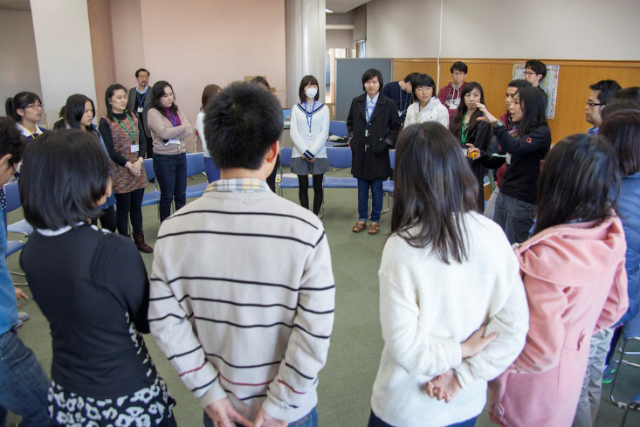 They also experienced Kigansai (A ceremony, blessing of the god/kami in order to ensure the safety of the construction work). 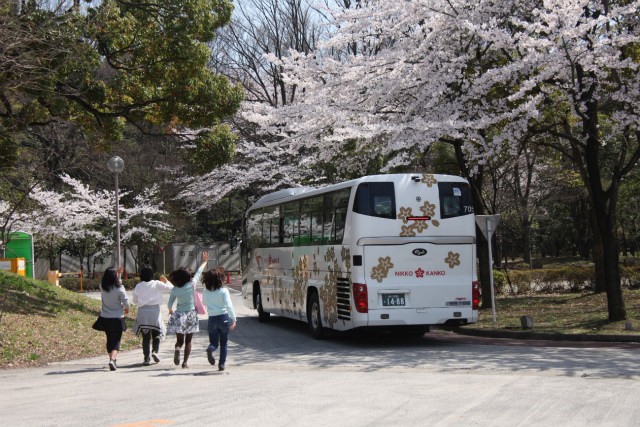 After that, they headed to Kaiga-kan (Picture gallery or museum). 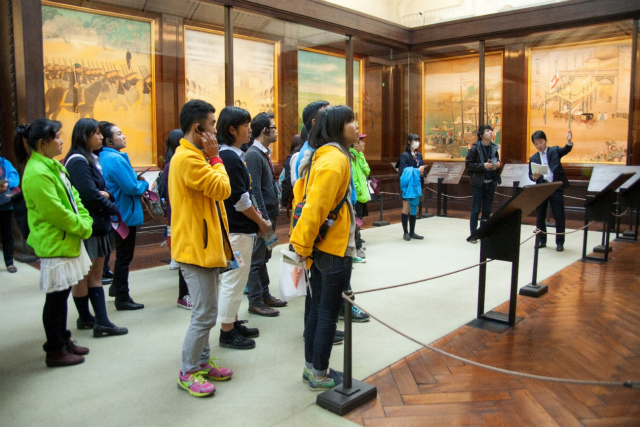 The museum displayed a number of photos from the Meiji restoration and the founding of Japan. 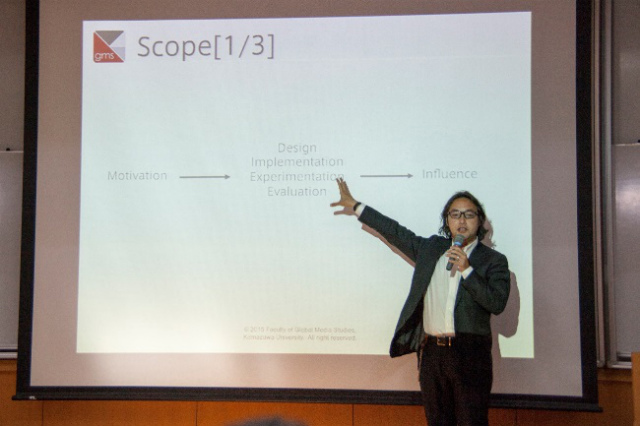 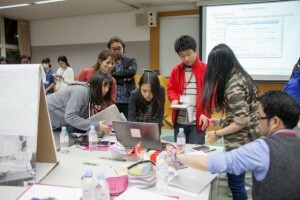 On DAY-6, the participants prepared and focused on the final presentation. Started off the workshop by Prof. Ishibashi and they mainly worked on the group discussion. 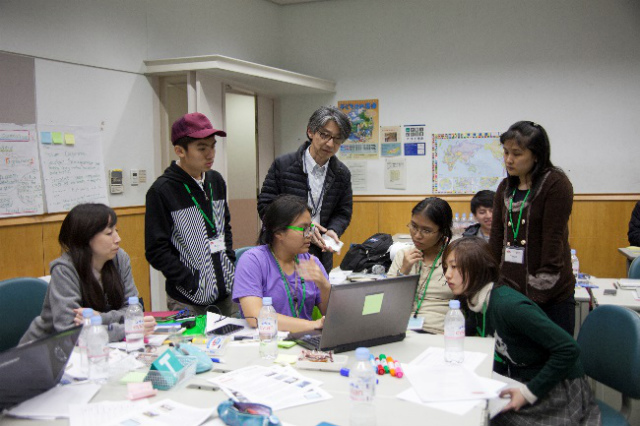 Prof. Ishibashi and Mr. Shirai talked about how the students needed the “Vision” for cooperation and the “Realization” which will embody those visions. DAY-7 was the “Presentation Day”. 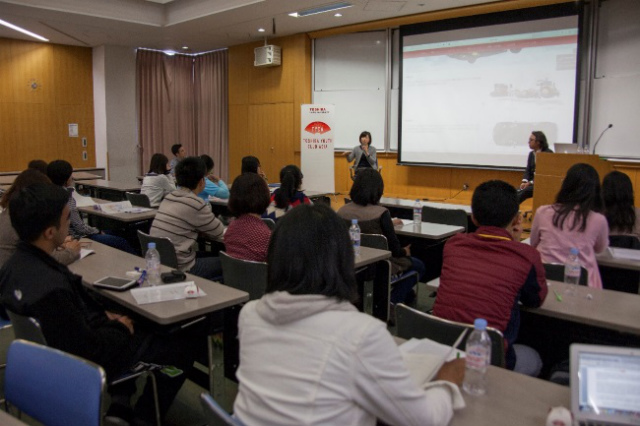 The presentation was held at the big hall of the center and had the presence of guests such as from ASCOJA, Toshiba Corporation, Ministry of Japan, Embassies of ASEAN countries. 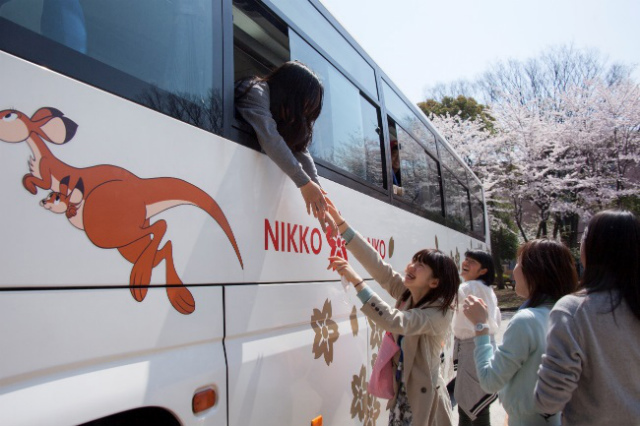 It’s always hard to say good bye. 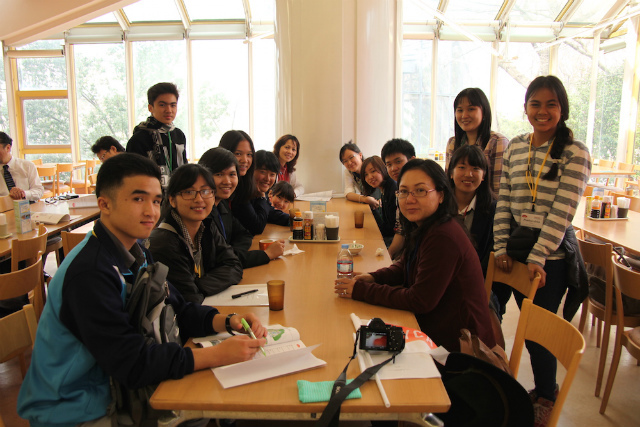 Since the participants had been spending time together for 8days, not only being together but learning a lot. 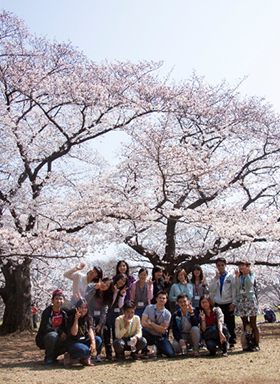 Sakura (Cherry blossom) were fully blooming and all the participants admired and felt early spring in Japan. 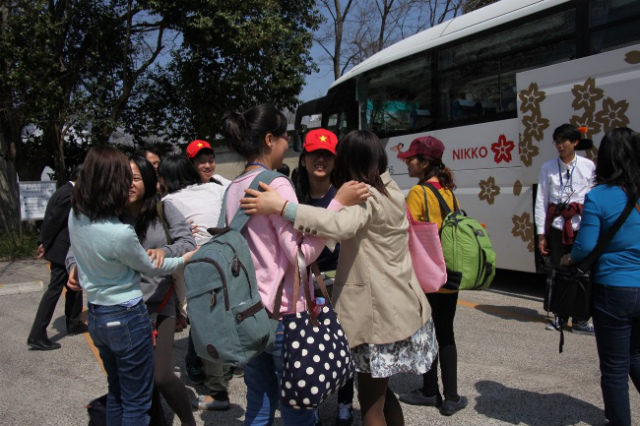 Hope to see you again in the future!